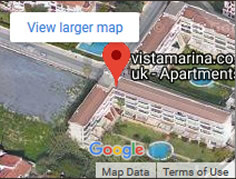 Self catering one bedroom Benalmadena apartment to rent located only 120 meters from the beach, shops, restaurants and bars. With in walking distance to the beautiful Puerto Marina, yet close to Arroyo old town. Prices are guaranteed. No surcharges. *** Special Offer *** Use discount code "SAVE007" to get 10% OFF all remaining dates. For desktop users using a mouse - Click once on the day you arrive and again on the day you depart. For touchscreen users - Touch once the day you arrive and double touch the day you depart. The page will refresh and you can see the your selected dates and pricing information. Change or edit dates as required. Input the details we require for the booking, name, email, address, number of guests. When you are happy, click the "PAY NOW" button. You will be transported to Paypal for payment. 50% of the total cost and the balance will be due 4 weeks prior to arrival. For bookings with in 4 weeks of arrival, the full payment is required. The remaining balance is due 4 weeks prior to departure. Please send a cheque payable to Mr Mills, 4 weeks prior to arrival to the address below.